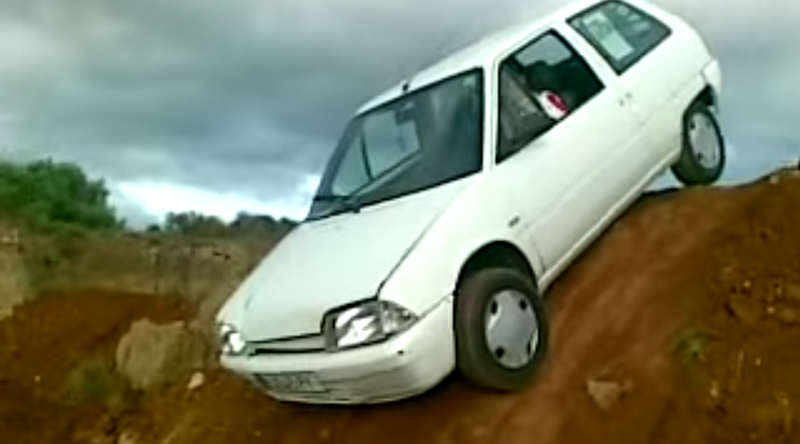 Yes, But Can You Go Offroading In A Tiny French Hatchback? Sure, sure, your lifted Jeep is great and all, but could you just go offroading in a tiny old French hatchback? This is the Citroën AX 4x4, a diminutive little lightweight. The thing barely had enough power to send to the front wheels, let alone all four, but the thing seems to do fine. Watch more of the car's all-driven-wheels capability on ice in this great old PR film. Man, those tunes are rockin.